Creche (the Charles River Episcopal Co-Housing Endeavor) is creating a network of mixed-income, inter-generational intentional communities in cooperation with The Episcopal Church. Our mission is to create a community-focused alternative to the for-profit housing market that is rooted in relationship and mutuality: co-housing communities in which people live like families, sharing meals, common spaces, and the rhythms of home care. Now in our second year of operation, we have founded two such communities – a five-bedroom house in Newton Centre and a six-bedroom house in Allson in a former church building. Residents in both communities are significantly below the market rate for their area, yet are also income-producing, allowing us to build toward opening our third home in 2019. Why? Because soaring rents and plummeting owner-occupancy rates have made Boston an increasingly hostile market for low and middle-income households; rent is increasing at nearly twice the rate of wages. Further, the increasing cost of purchasing a home has resulted in a 11.7% decline in home sales over the last decade. Together, these trends make it difficult for Bostonians to live in the communities they love. The prevalence of short-term leases (particularly for students) have priced working families out of many areas, encouraged resident turnover and neighborhood instability, and accelerated gentrification. Today’s Boston housing market is stunting the development of long-lasting relationships that are vital for wellbeing. 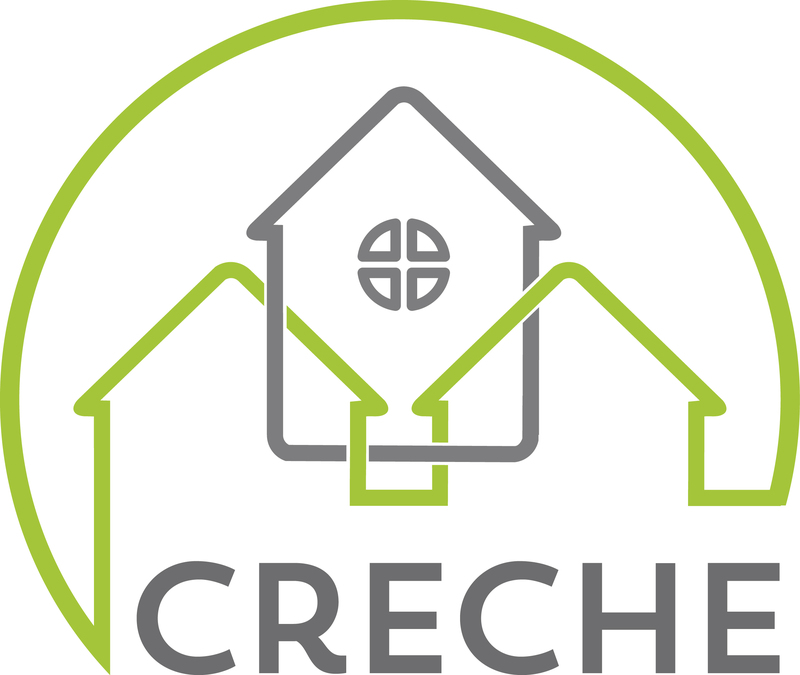 Creche was founded by four Episcopal Churches with a desire to use the resources of The Episcopal Church to confront these housing needs head on. We do this not only by acquiring and renovating property but also by supporting the household communities directly and equipping them with the tools they need to live healthily with one another, including trainings in communication and conflict resolution. We make a long-term commitment to each household, partnering with them as they develop their own identity, grow in their capacity for self-governance, and cultivate a positive presence in their local neighborhoods. Creche is affiliated with The Episcopal Church, and is a collaborative effort between four congregations: Emmanuel Church, St Bartholomew’s Church, The Crossing, and the Episcopal Chaplaincy at MIT. Our initial seed funding has come from a generous grant from The Episcopal Diocese of Massachusetts.